Last Kiss posters and comics are appearing as prominent props in the upcoming web TV series, Up Up Down Down. I’ve created several new, faux Last Kiss comic book covers just for the series. 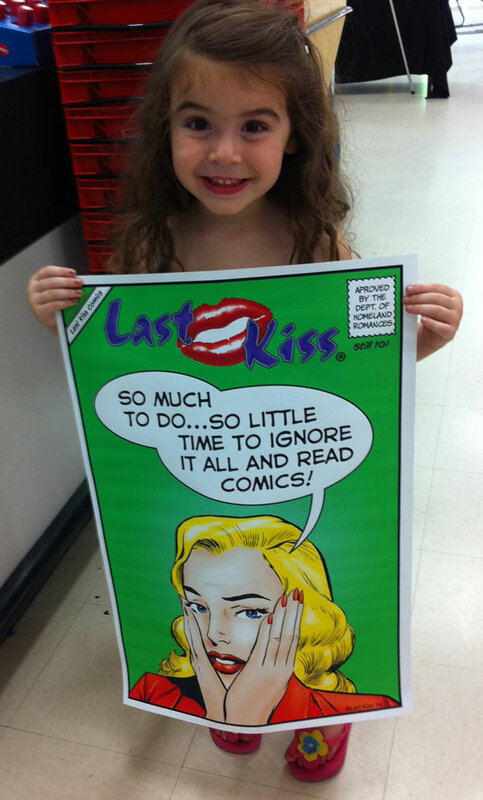 The adorable tyke holding the Last Kiss poster is series creator/star R.a. Rayne’s four-year-old daughter Ariebella. The series is now filming it’s first episodes. I’ll post a link as soon as the Up Up Down Down goes live on the web.